Seiko Watches	There are 11 products. 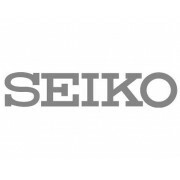 Authorised Seiko stockists in the UK. 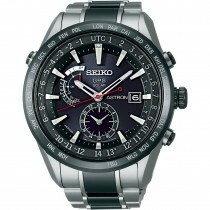 Seiko ladies & mens watches available at Macintyres of Edinburgh. Further selection available in-store so please contact us if you can't find what you are looking for. 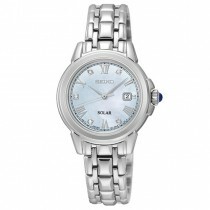 Seiko ladies stainless steel watch. - Roman numeral markers - Stainless steel case and bracelet - White dial - 50 meter water resistance - 2 years manufactures guarantee (covers material & manufacturing defects) - Supplied in a Seiko presentation box. 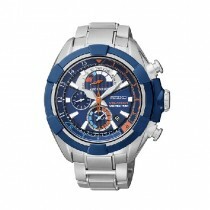 Seiko Velatura collection gent stainless steel watch. - Blue dial - Stainless steel case and bracelet - Yachting timer - Quartz - Calendar - Fold over clasp with push button release - 100 meters water resistance - Sapphire crystal glass - 2 years manufactures guarantee (covers material & manufacturing defects) - Supplied in a Seiko presentation box. 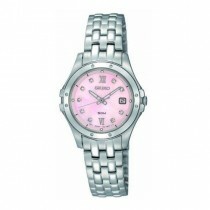 Seiko ladies two tone stainless steel watch. - Roman numeral markers - Two tone stainless steel case and bracelet - White dial - 50 meter water resistance - 2 years manufactures guarantee (covers material & manufacturing defects) - Supplied in a Seiko presentation box. Ladies&apos;s everyday watch from Seiko. Stainless steel case and bracelet. Pink dial with diamond hour markers. Seconds hand. Date window. Fold over clasp with push button release. 50m water resistance. Featuring an innovative kinetic movement and a convenient perpetual calendar which adjusts for odd and even months to the year 2100. Textured white dial with blue hands, & silver-tone Roman numerals & markers. Power type: Kinetic. Movement: Quartz. 12/24-hour formats. Water resistance100 meters. Sapphire Crystal. 3-year Manufacturer&apos;s Guarantee.